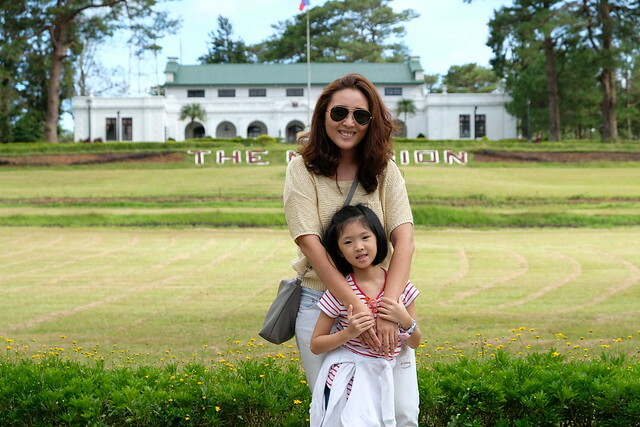 When I gave birth to Y, no one told me about sleepless nights! I think my eyebags went from a panda to a racoon! Waahhh! That's when I kind of knew that it won't be an easy ride but I'm glad I had BOS cheering me on every feeding and helping me on every diaper change, I wouldn't know what would I do without him. Although now that my kids are bigger and sleep through the night, I sleep better (after 4 years of being a new mom) but nothing really beats an uninterrupted goodnight's sleep! Dunlopillo introduced their newest Mom Ambassadors Andi Manzano-Reyes, Kelly Misa-Fernandez, and Cat Arambulo-Antonio in an intimate launch at Ascott BGC. Dunlopillo asked their Mom Ambassadors to share some of their experiences as a mom. But no matter how what age our kids are, sleep is still important to a mom. Dunlopillo understands that importance. 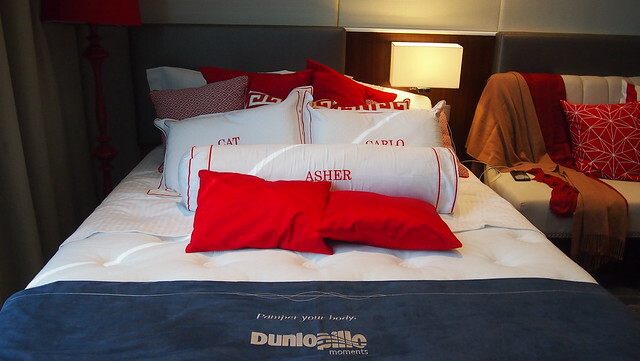 Dunlopillo is one of the world's most beloved beddings brand and with over 85 years of scientific research and innovation, Dunlopillo mattresses provide superior comfort and support. 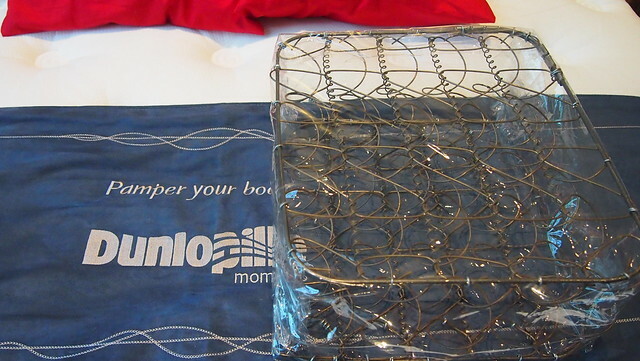 Last month, Dunlopillo launched its newest line of mattresses for modern moms to get their much deserved rest and giving them more time for bedroom moments. This was Andi and Olivia's. I got to meet the infamous baby O that day. She was super adorbs! 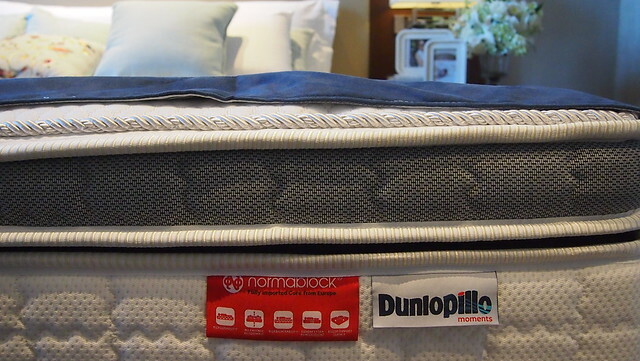 The NormaBlock is Dunlopillo's most superior innerspring system and is the most technologically advanced mattress spring support system in the market today. And I got to try and test the different kinds of designs -- the Catleya, Decora and Lucia – differing in height, levels of support, and the added technology in each mattress. Dunlopillo is fully engineered in Europe. It is durable, supportive and at flexible to contour the body’s spinal shape to provide ultimate comfort! This is how the NormaBlock looks! It doesn't look much no? But when I tried laying down the bed, it's so comfortable! Normablock is an exclusive technology by Pikolin Spain. 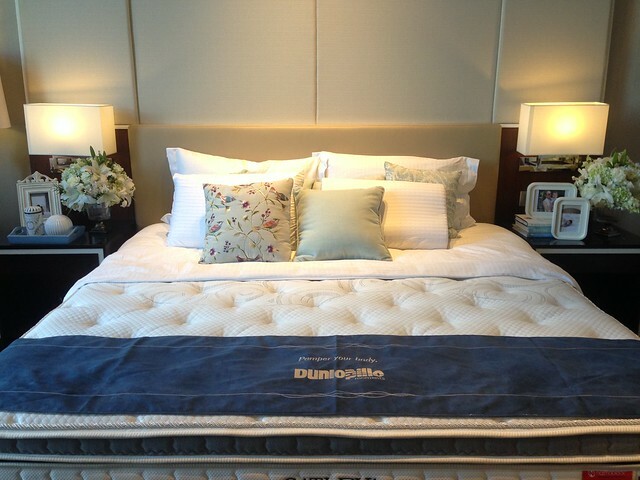 I also got to try Dunlopillo's Serene Pillows! They're made of 100% pure Talalay latex, they're more hygienic, breathable, healthier and more adaptable. This is me trying the Serene Countour! 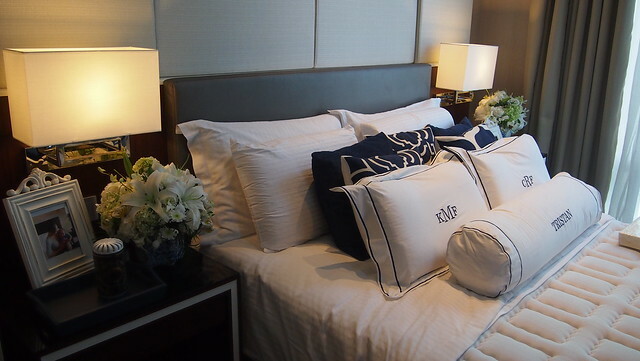 We are in the process of looking for new pillows and we just might a whole set of Dunlopillo for the whole family because we all need a goodnight's sleep! Yay!!! Dunlopillo’s latest Normablock collection is available at Dunlopillo showrooms at 16 Acropolis Commercial Area, E. Rodriguez Jr. Ave. Libis Quezon City, EDSA Cubao and the MC Home Depot Fort Branch.